Create any number of campaigns for autoposting different topics or content. 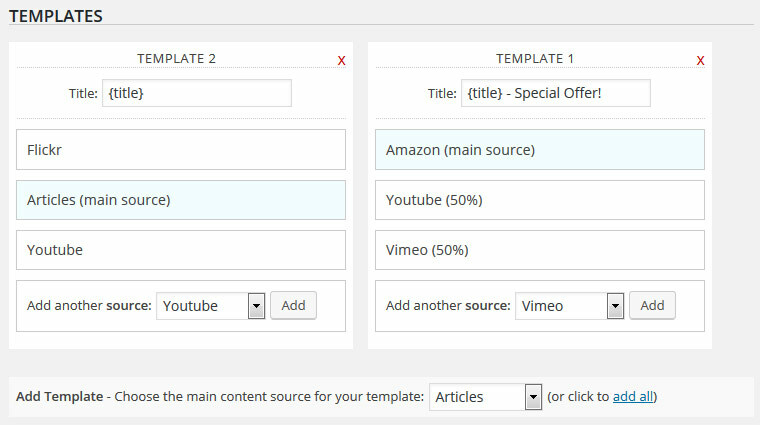 Flexible templates allow you to customize how your autoposts will look. 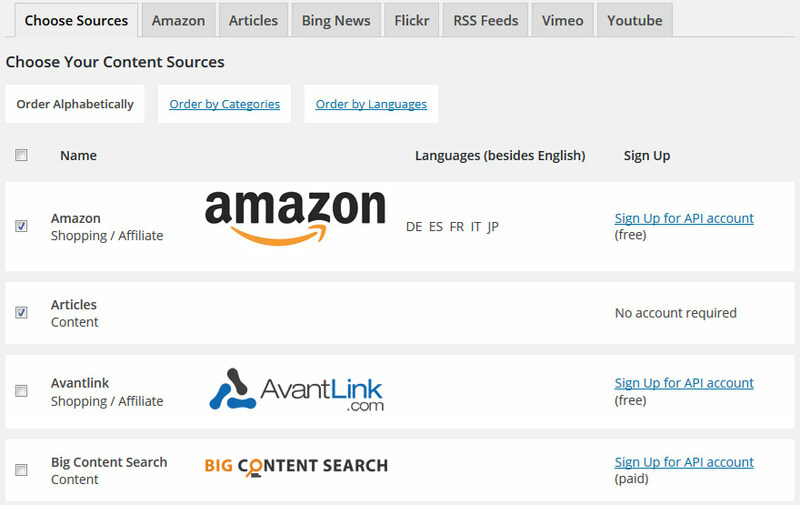 Choose from over 25 sources for diverse and varied content. View, edit or delete all posts that get created by WP Robot easily. 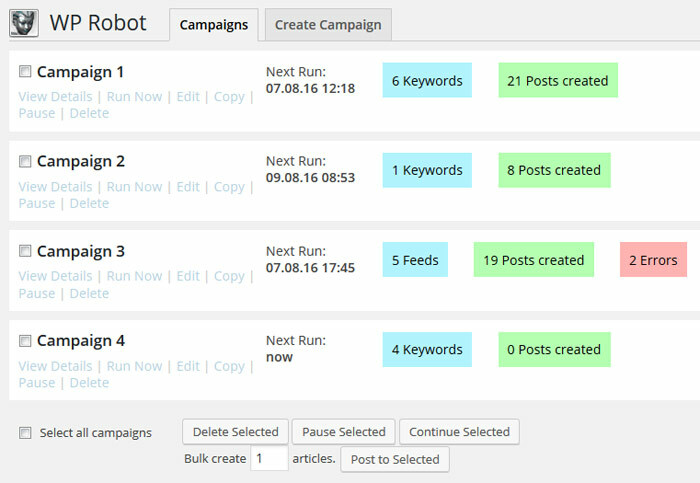 WP Robot is made up of modules, each of which works like its own autoblogging plugin and provides you with content from one specific source. Our full version includes all modules and allows you to build the greatest autoblogs! WP Robot gives you many different options to make the automatic content it creates unique. You can use the translation module to translate posts into over 20 languages automatically or any of the 6 popular spinning softwares below to rewrite all autoposts! You can even use several spinners and translation together to rewrite content multiple times for the best and most unique results!